Mashed or pureed cauliflower has become a beloved side dish for anyone who’s watching their carbs, and here are Four Fantastic Variations for Low-Carb Cauliflower Mash with options for the Instant Pot or the Slow Cooker! All these recipes are low-carb and Keto and some are also Paleo, enjoy! Click to PIN Four Fantastic Variations for Low-Carb Cauliflower Mash! 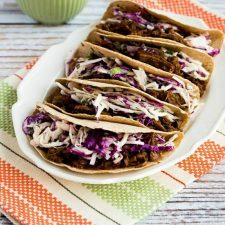 Click here for 50 Amazing Low-Carb Instant Pot Dinner Recipes! If you’re someone who’s watching carbs, there’s a good chance you’ve made some version of mashed cauliflower to satisfy that mashed potato craving! There are so many good ideas to make mashed cauliflower taste good, and so many people love cauliflower mash that we’re adding it to our Friday Favorites collection. This post has Four Fantastic Variations for Low-Carb Cauliflower Mash! There are options for the Instant Pot or Slow Cooker, and each one is just a little different, so I hope you’ll find one that makes it on your menu soon! For everyone who likes the flavors of loaded baked potatoes, this Instant Pot Low-Carb Loaded Cauliflower Mash from Kalyn’s Kitchen captures those flavors. This can be made on the stovetop too if anyone prefers that method! Slow Cooker Garlic Cauliflower Mash from 365 Days of Slow + Pressure Cooking has loads of flavor from garlic, Parmesan Cheese, Olive oil, and chives. Doesn’t that sound good? 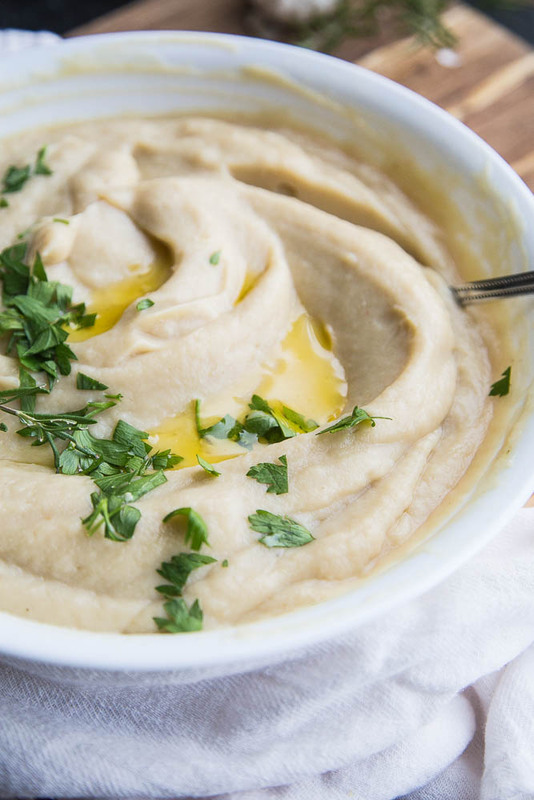 I love rosemary and I bet it adds wonderful flavor to this Instant Pot Cauliflower Puree from Perry’s Plate, and this recipe is Paleo if you use ghee like Natalie did. Slow Cooker Garlic Herb Mashed Cauliflower from Wicked Spatula uses rosemary, sage, thyme, and parsley to add flavor plus ghee, and this one is also Paleo. Are you a fan of cauliflower mash? Let us know in the comments about your favorite way to make this classic low-carb dish!